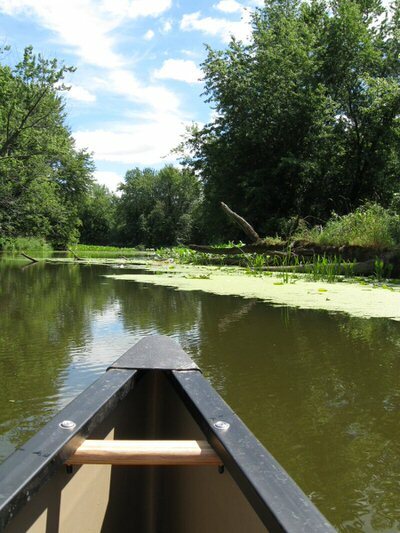 Paddle your way through the mature floodplain forest and rich backwaters of the Upper Mississippi River National Wildlife and Fish Refuge while admiring the panoramic views of the towering bluffs. Location: In the Winona District of the Upper Mississippi River National Wildlife and Fish Refuge near Kellogg, MN. From Kellogg, MN, take HWY 61 north, turn right onto County road 81, turn left onto County Road 30, turn right onto County Road 24, continue onto N County Road 24, turn right onto Prairie Lane, turn right onto Pioneer Drive. You can access either using the Minnesota DNR Canoe Access area or Pioneer Landing. The 5.2 mile Finger Lakes Canoe Trail is the second trail in a series of four designed to take paddlers into the backwater areas of the Upper Mississippi River National Wildlife and Fish Refuge. This trail is located approximately eight miles downstream of the Nelson-Trevino Canoe Trail near Wabasha, MN and four miles upstream of the Halfmoon Canoe Trail. Paddlers who wish to paddle between trails will need to use the main navigation channel and "lock through" paddlers unfamiliar with the procedure for using a lock should download the booklet “Locking Through” available at the refuge website). Sandy beaches for camping are plentiful along this section of river. There is no fee for camping on the Refuge. The Finger Lakes Canoe Trail will provide paddlers with spectacular views of the Upper Mississippi River blufflands while enjoying the serenity of the mighty rivers backwaters. The experience of paddling the Nation's river cannot be described as you take yourself from the main shipping channel to the serene backwaters. Poised on the Upper Mississippi River National Wildlife and Fish Refuge, this canoe trail offers spectacular fishing during all times of the year. Spring and fall bird migrations are a sight to behold for the bird watcher of every experience level. These aspects and many others were the driving forces behind this section of the Mississippi River's designation as a Ramsar Wetland of International Importance in 2010. The trail has two loops, the shorter 1-mile loop will give paddlers the opportunity to explore in slower moving waters. The longer 5.2 mile loop will require that paddlers venture into the main navigational channel of the Mississippi River for a short time making this a moderate skill level trail. The longer loop will also require a short portage during low water conditions (typically July/August). Paddlers can spend the night on any of the islands or paddle to one of the beaches on the main channel to enjoy a campfire and evening filled with the sights and sounds of lone tow boats making their way along the river under the cover of darkness. The trail can be accessed at either of two Minnesota Department of Natural Resources public landings (Pioneer Landing or the Carry-In access). Both access' are located just downstream of the dike which forms the Minnesota side of the U.S. Army Corps of Engineers Lock and Dam #4. The Finger Lakes Canoe Trail is one of four canoe trails located on the Winona District of the Upper Mississippi River National Wildlife and Fish Refuge. Spend a few days exploring the river and its unique communities! Paddlers heading downstream to the Halfmoon Lake Canoe Trail can enjoy off-river camping, restaurants and shopping in Alma, WI (River Mile 753). All canoe trails are free and open 24/7 during ice-out conditions. Fall is spectacular for colors but paddlers should dress brightly as all the trails travel through areas open to hunting. 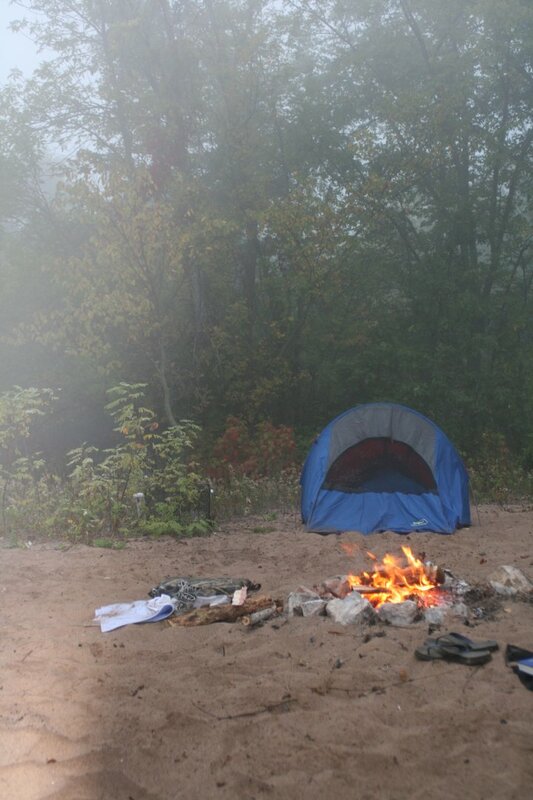 Services are limited in the immediate area of the trailhead with the nearest being restaurants and gas station at Kellogg, MN. The Finger Lakes area is open to hunting, so paddlers should wear bright colors in the fall so they can be seen. The Finger Lakes Canoe Trail was designed and signed as an Eagle Scout project in 2011.